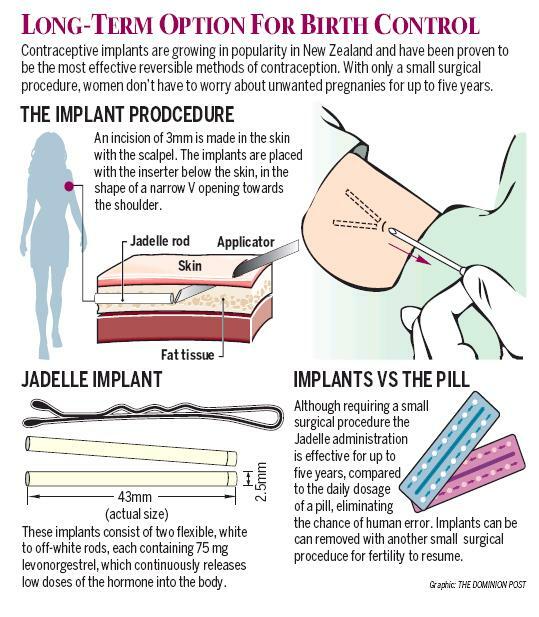 According to news reports this week, New Zealand women have exhausted in a few weeks a supply of contraceptive implants that was estimated to last the country a year. Pharmac started $1 million funding of Bayer’s contraceptive Jadelle from August 1, dropping the price from $300 to $3 – hoping to save costs on repeat doctor visits and pharmacy costs. The long-acting implants are small removable rods which are inserted just below the skin in the arm. They can provide contraception for up to five years. Pharmac, using modelling based elsewhere, including Australia, where 10% of women used hormonal contraceptives, has estimated 35,000 here would use the drug over five years. However, 1700 women had so far opted to use the drug, meaning the country has run out and now has to wait for a new batch to come from Finland. It should be here by early next month.